Pole Battle League is a series of duels of acrobatic pole dancers who fight each other for the best position in the international rankings. Be a part of this amazing pole sport concept and enjoy a totally different kind of competition full of adrenalin, improvisation and fun! The competition was created in the Czech Republic in 2012 and since then, this sports event has spread to several European countries. All competitors from all countries can enter the competition if agreed with the Rules & Terms. 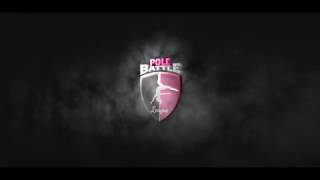 The aim of Pole Battle League is to support the pole sport as such and to create a healthy competitive environment that motivates athletes to reach better performance. Competitor's league performance is evaluated by a professional international jury and this type of competiton is in a pure sporting nature. Each round of the competition takes place in a different country so it is therefore very interesting for competitiors as well as for spectators and always attracts large audiences. TOP contestants, who reach places at the top of the rankings, will at the end of the year move to the Pole Battle Championship and will receive valuable prizes.